Since Valentine’s Day is coming up, and I have 3 children, I am always trying to come up with something clever and sweet. Their school has Valentine class parties, and I have an easy idea that is sure to be a hit. Start with a large waffle cone that can be found in any grocery store and simply coat it in chocolate. Fill with your favorite candy for a colorful, fun presentation. 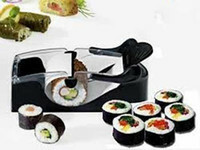 These can be made up to 5 days ahead stored in an airtight container in the refrigerator. 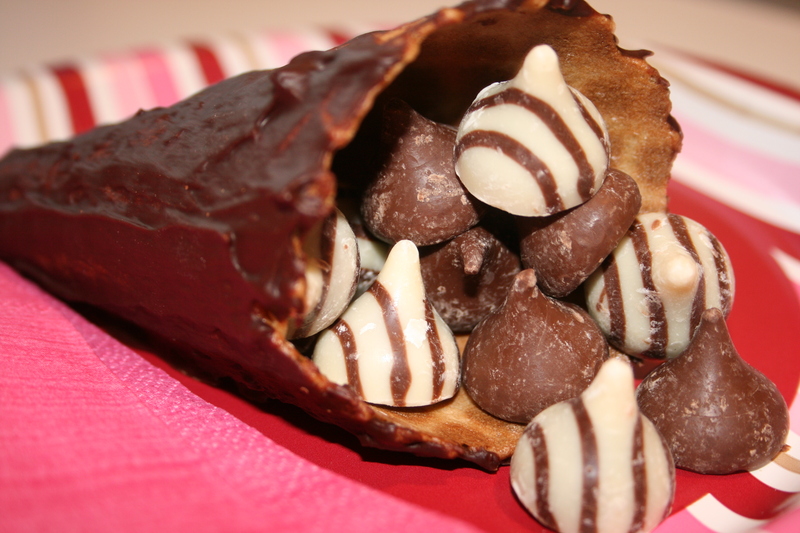 You can also fill these with your favorite ice cream topped with Valentine candy. 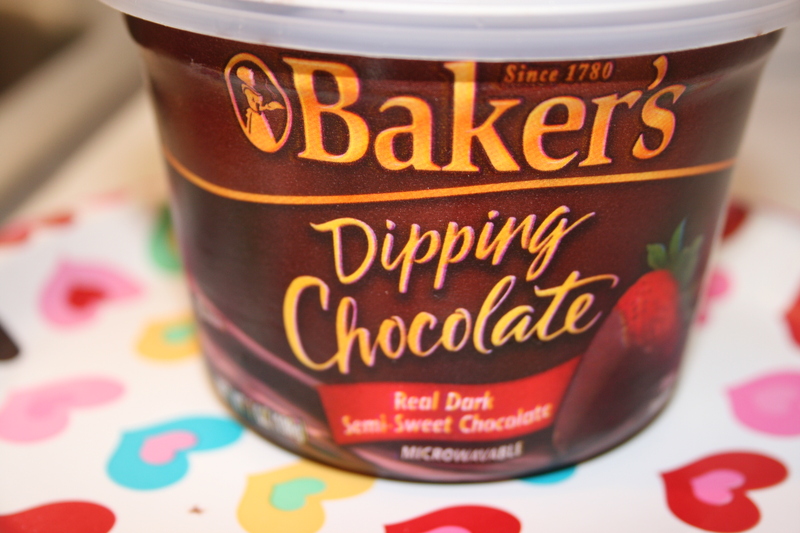 For a simpler version of the chocolate mixture, use 1 (7-ounce) container microwavable Baker’s Dipping Chocolate. 2. Slowly spoon chocolate over cone coating evenly. Let stand 20 minutes or until chocolate is set. Repeat with remaining cones. Refrigerate until ready to serve. 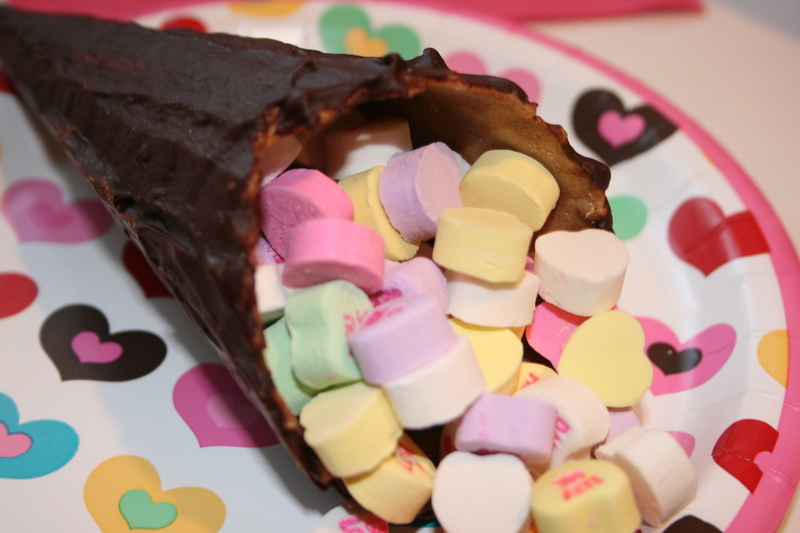 To serve, fill cones with your favorite Valentine Candy. What a wonderful idea! Easy to make and the kids will be thrilled with this unusual treat. Alison, I can always count on you to come up with unique and delicious food ideas. Thanks Kathy! My kids went nuts when they saw these and they were gone so quickly! I am going to make these for my office.